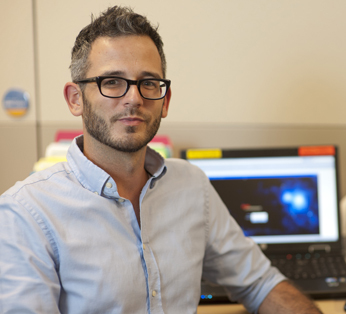 Background: David Fraquelli, RN, currently works as a computer resource manager for the UCLA Health System’s clinical systems team. He had the unique experience of going through Epic implementations at William Beaumont Hospital in Royal Oak, MI, and Cedars-Sinai Medical Center in Los Angeles. He looks forward to the CareConnect implementation here at UCLA. You have several years of experience using Epic. What do you like best about the system? The best thing about the system is that it’s intuitive and easy to use. The CareConnect interface will feel familiar, much like using your email or navigating a web page. Do you miss using Epic since we don’t have it in place here at UCLA? Yes. While the systems here function well, the key word is still “systems.” CareConnect will give the user one system to enter orders, print labs, review charts, document patient data, admit, transfer, discharge, change a diet, view a CT scan, print education materials, scan, and administer medications—the list is endless. What do you think will be the most challenging part of implementing the system? The most challenging part of the two Epic implementations that I have been through has been staff resistance to change. We worried about everything and assumed a new system was going to make a stressful job even more stressful. We thought we would have endless charting, never get another break, and never leave on time again. Once we went live with the system, it was as though no other systems ever existed. The transition at Cedars-Sinai was so seamless that I can hardly recall what our old system was like. What did you find were the most helpful features of Epic? The most helpful features of Epic were the visual alerts / notifications for lab results, new orders, and medications. During our busy shifts it is helpful to have great visuals to make sure nothing gets delayed or forgotten. What was the most helpful part of the transition to Epic? The Super Users were the most helpful part of the transition to the new system. Having the extra support on the unit during and after go-live really reduced stress for the nurses, doctors, and clinical staff. How will CareConnect save you time here at UCLA? CareConnect’s electronic medication administration record function alone will save nurses a significant amount of time. The eMAR is fast, user friendly, and color coded to help separate key items like, discontinued, future, override, and overdue medications. The nurses will love it! What can we do to make sure we're ready? The best thing we can do is to make sure we have Super Users ready and available. Even if some staff don’t use them, it is still great to know someone has your back. The learning curve is minimal with the system, and with the right training I know the staff will be ready to roll with CareConnect. What advice would you give to your colleagues here at UCLA about CareConnect? The best advice I can give is to stop worrying about the “what-ifs” of CareConnect. It is a great program that is designed to help the entire health care team function smoothly. I want my colleagues to be excited for this change and come to know CareConnect is a good thing.